C Edition. Composed by Various. Arranged by Chuck Sher. Latin Jazz and Latin. Fakebook (spiral bound). With melody and chord names. 572 pages. Published by Sher Music Company (HL.240138). ISBN 1883217059. 9x12 inches. Edited by Chuck Sher. This is the only professional-level Latin fake book ever published! 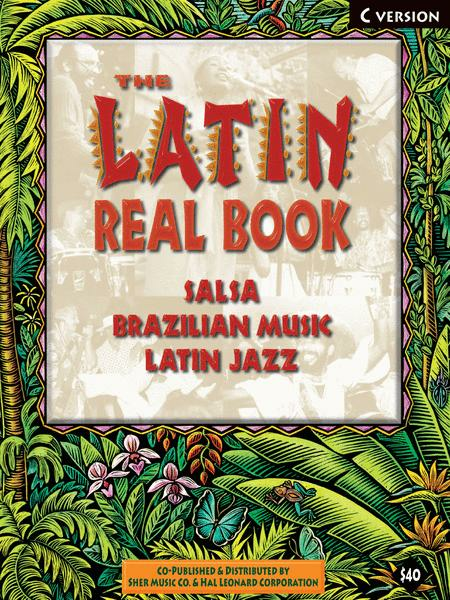 It features nearly 600 pages of the best in contemporary and classic Latin jazz, salsa and Brazilian music, with detailed transcriptions - exactly as recorded - to help bands play in authentic Latin styles. Many tunes include bass lines for each section, piano montunos, and horn counter-lines. 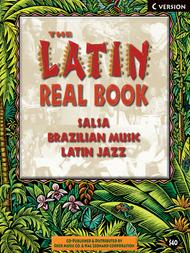 Includes a bilingual foreword and vocabulary listing, song lyrics in Spanish, Portuguese and/or English, a rhythm section appendix, sources for the recordings, and convenient spiral binding. Outstanding artists represented include: Ray Barretto, Eddie Palmieri, Ruben Blades, Puerto Rico All-Stars, Tito Puente, Irakere, Los Van Van, Ivan Lins, Tom Jobim, Toninho Horta, Jo Bosco, Milton Nascimento, Airto, Mario Bauza, Dizzy Gillespie, Daniel Ponce, Seis Del Solar, Chick Corea, Arsenio Rodriguez, Celia Cruz, Perez Prado, Orquesta Sensacion, and many more! 177 songs, including Amantes, Indiferencia, Midnight Mambo and more! 26 of 64 people found this review helpful. play somewhat and a great appendix for latin rythmns. It has songs by the likes of Tito Puentes, Chick Corea, Ray Barretto as well as Batacoto and Gonzaguinha, whoever they are. I really wanted the Latin FAKE Book that has more popular songs, but I goofed in ordering. The Latin Real Book is Definitely NOT for beginners. 33 of 64 people found this review helpful.